Sandra Bostwick is an occupational therapist, college professor, lecturer, and writer. Her educational consulting and coaching practice helps people with challenges excel. She visits Walt Disney World yearly for pixie dust refills. 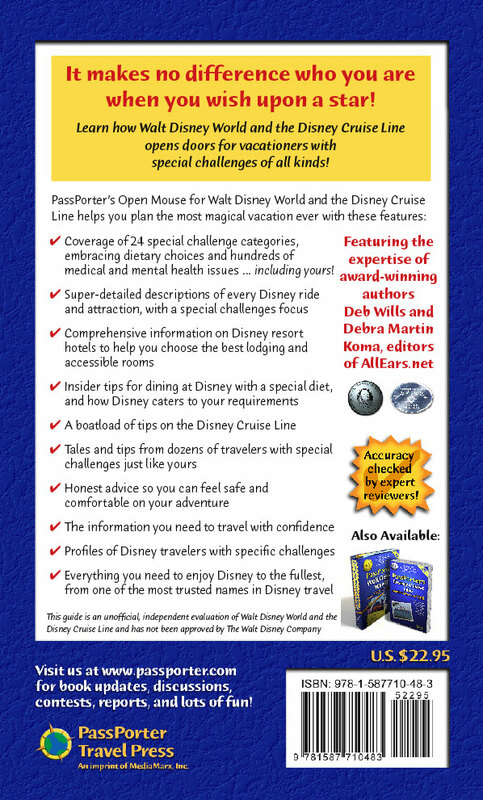 Kimberly Button is a former Disney cast member and Disney Cruise crew member and author of The Disney Queue Line Survival Guidebook. She has chronic fatigue syndrome, fibromyalgia, chemical sensitivities and food allergies. Dianne Cook is an RN and a Certified Diabetes Educator, working in a hospital setting for 25 years. Married to Tom for 24 years; they have two boys, Andrew (16) and Matthew (14), and have visited Walt Disney World 28 times. Bonny June Eby is a 37-year-old woman with multiple autoimmune diseases. She visits Disney World at least twice a week. She is also mom to a 6-year-old with autism, epilepsy, a feeding tube, cerebral palsy, and other special needs. Lydia Economou has loved Walt Disney World since her first trip with roommates after college. She is married with three children: Nicholas, Andrew, and Sophia. Her son, Andrew, is lactose intolerant and has asthma. Melanie Emmons has struggled with obesity all of her life and has lost about 100 pounds since having lap-band surgery. Her first trip to Disney World was her honeymoon (with her 6'7" husband), and she's returned at least 20 times. Joanne and Tim Ernest are veterans of more than 20 trips to Walt Disney World and three Disney cruises and are PassPorter moderators. For the past 5 1/2 years, Joanne has suffered from acute peripheral neuropathy. Betsy Hicks is a diet counselor and co-owner of Pathways Medical and Holistic Health Center. Her 14-year-old son, Joey, has autism and dietary challenges. 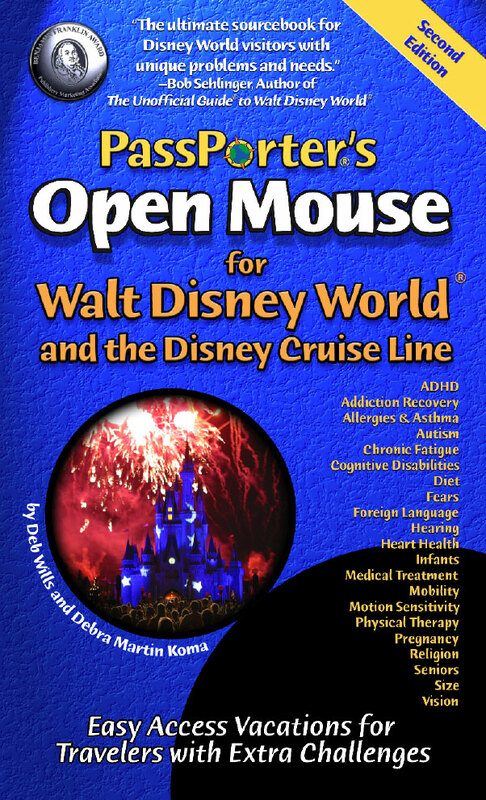 Disney has been a yearly part of his therapy for the past five years. LauraBelle Hime is a PassPorter moderator and the proud owner of annual passes for the last four years. She enjoys touring despite painful fibromyalgia, but the biggest challenge has been her granddaughter Alexis' many allergies . Michelle Hohmann has traveled to Disney World and sailed Disney Cruise Line numerous times with her teen daughter, who was diagnosed with ADHD and Asperger's syndrome. She is co-owner of a cruise specialty travel agency. Masayo Kano is an international traveler from Japan who has loved Disney since her first trips to Tokyo Disneyland in '91 and to Disney World in '93. She's been 10+ times since. She's married to Mamoru, who also loves Disney. Deb Kendall has had fibromyalgia for 15+ years. She resides in Texas and has visited Disney World 10 times and Disneyland 100+ times growing up in California. She's learned a new way to enjoy Disney because of fibromyalgia. Lori Kloman Williamson is a long-time Walt Disney World fan who has made multiple trips since 1971. She has spent a great deal of time traveling to Disney World with her visually impaired husband and best friend. Susan Koppel vacationed at Disney before becoming a mom to Alex and Mikie. Her family has experienced Disney with food allergies, GERD, Crohn's, mobility issues, sensory issues, fears, motion sickness, autism, and size issues. Cathy McConnell is a Disney fan and travel agent who has been on more than 20 trips to Disney World and 12 Disney cruises. She is the mother of a teen son who is profoundly deaf and is active in deaf advocacy groups. Chet McDoniel is an Accredited Cruise Counselor with CruisingCo.com/MouseEarVacations.com. He has no arms and shortened legs. He travels in an electric wheelchair and just loves Walt Disney World and Disney Cruise Line! Bruce Metcalf works at a major Central Florida theme park where his job includes making life easier for those with challenges. An accident that put him in a wheelchair for three months helped focus his attention. Jean Miller, a senior citizen, began her love of Disney while living near Disneyland for a year in the early '60s. A regular visitor to Disney World since its opening, she now spends several weeks each winter at Ft. Wilderness. Josh Olive is a 6'6", 400-lb. man whose inner child is bigger yet. He's been a BIG fan of Walt Disney World since his first visit in 1979, and he's now a 15-trip veteran. Pam Passwater, a senior with psoriatic arthritis and asthma, has visited Walt Disney World 30+ times. As volunteer travel coordinator for St. Louis Dream Factory, she helps seriously ill children plan dream trips to Florida. Kathy Sauviac is a mother of four with ALS who has extensive personal experience at Disney. She gets around with a power wheelchair while using a ventilator and other equipment. She is accompanied by her service dog, Skye. Carol Scopa first visited Walt Disney World in 1975 and visits Mickey and friends at least once every year. A paraeducator, Carol has spent the last 20 years working with children with special needs and learning disabilities. Mike Scopa is a columnist for MousePlanet, blogger on AllEars.net, and co-host of the WDWTODAY Podcast. Since 1975, he has visited Walt Disney World "between 1 and 100 times" and helps special needs families plan Disney trips. Beth Shorten, self-proclaimed Queen of Allergies, is a lifelong Disney fan. Disney World is one of the few places in which she feels comfortable dining. 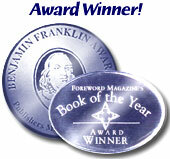 Beth is the mother of James, born just before the first edition of this book. Kitty Smith is a vegan who fell in love with Walt Disney World on her honeymoon 10 years ago. Twelve trips later, she's still in love. She can often be found dishing out veggie dining advice at AllEars.net. Michelle Spurrier is an early childhood special education teacher. Walt Disney World became the favorite family vacation spot in 1997 for Michelle, her husband, and two sons. Michelle has made 13 trips to Walt Disney World. Amy Warren Stoll has been to Walt Disney World more than 20 times since her first trip in 1996. She's also cruised with Disney Cruise Line. She hasn't let epilepsy keep her from enjoying her favorite solo trips! Tim Sullivan is a visually impaired traveler who has been enjoying his trips to Walt Disney World since he was four. He is lucky enough to have a fabulous trio of travel "Princesses" in his wife and two daughters. Alissa Tschetter-Siedschlaw is a total Disney junkie! She has four kids whose challenges include with Autism Spectrum Disorder, mild cerebral palsy, behavioral issues, anxiety, and g-tube feeds. She is expecting a baby in the fall. Shawn Varney is a Disney lover with a moderate hearing loss, corrected with digital hearing aids. He and his family have been to Disney more than 10 times. He is married to PassPorter Editor Sara Varney and they have one son, Ryan. Blossom Zell is a special education teacher, working with students of many disabilities, including autism, PDD, mental retardation, Tourette Syndrome, and ADHD, to name a few. She is the parent of two boys with special challenges.